Engineer approved shoring systems used to hold existing masonry while contractor replaces beams. We provided scaffold so construction crews could access all areas of new construction of this boat. 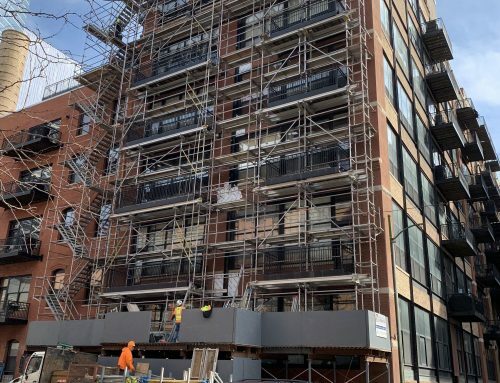 We provided engineered shoring for the interior of the building and overhead protection on the public right away so that construction crews could remove all floor slabs, joist and loads to add 5th floor to the building. They also had to remove the existing façade and replace with new brick. 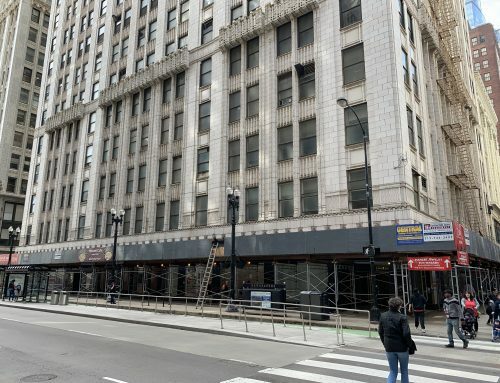 This engineered overhead protection with shoring and scaffold tower was provided for the construction crews to remove balconies from masonry façade, replace steel verticals, and restore masonry. 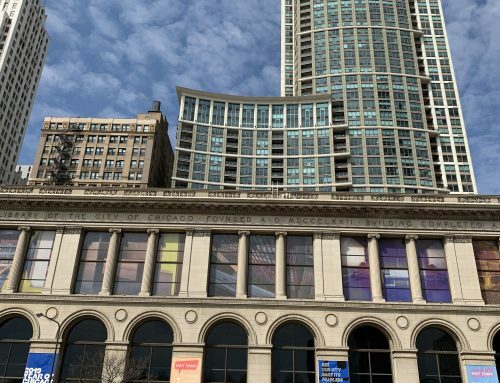 We provided overhead protection for façade inspection and tuckpointing. 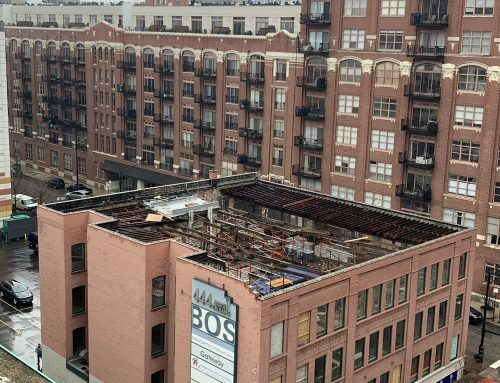 We provided a heavy duty overhead protection for Terra Cotta Inspection and Restoration. 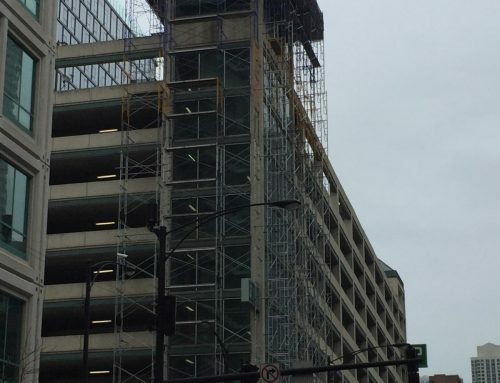 We provided scaffold, enclosure, and swing stages for facade inspection and masonry restoration. 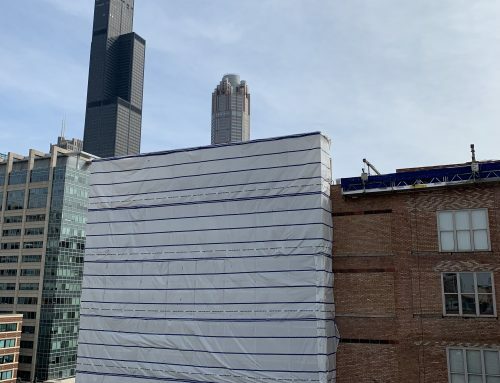 We provided scaffold access and fall protection for a roof replacement. 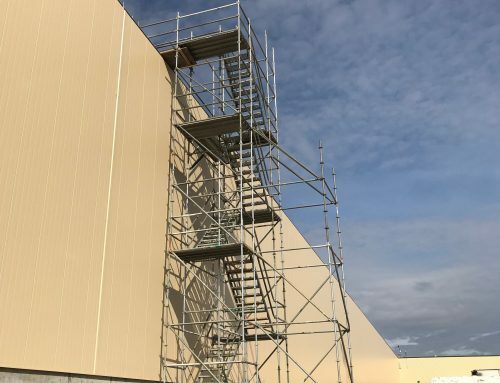 We provided safe scaffold access to the roof at this automotive plant. We provided frame and brace scaffold around the entire tank for the painters to prime and paint the exterior.